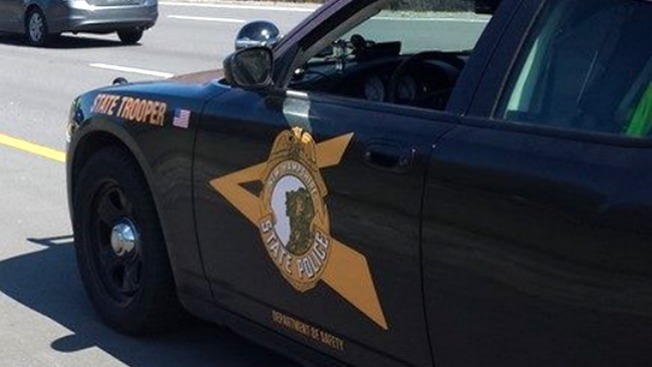 New Hampshire State Police say a trailer dumped sewage over a police cruiser during a routine traffic stop on Interstate 93. Police say a driver told Trooper First Class Christopher Cummings Wednesday afternoon that a pickup truck towing a trailer was traveling hazardously on Interstate 293. Cummings found the truck as it was merging onto I-93 in Manchester and pulled the driver over. That's when police say a sewage tank in the trailer failed as the driver pulled into the breakdown lane, dumping waste all over the road and the cruiser. The 43-year-old Manchester driver had an active arrest warrant for receiving stolen property. He was arrested and cited for spillage of material, possession of license required, unregistered vehicle and defective equipment. He's due in court on Dec. 7.